New Jersey lawmakers are considering increasing fines on casinos and sports books that take illegal bets. This will include taking wagers on prohibited events and for accepting bets on New Jersey college games. Last Thursday, an Assembly panel passed a bill that could impose fines ten times higher than last year. The Garden State has some of the strictest regulations in the world, so this news comes as no surprise. Plus, it’s another step closer to keeping sports betting in New Jersey fair and honest. According to the new proposed law, fines will jump from $20,000 to $100,000 for taking illegal bets. On top of that, operators will also have to pay an extra fine equal to the total amount of bets taken! Plus, bookmakers could have their sports betting license suspended for up to ten days! Assemblyman Ralph Caputo is sponsoring the bill by saying, “We must provide the proper and necessary oversight to ensure that our state’s holders of sports wagering licenses abide by the laws set forth. We want New Jersey’s sports and race gaming industry to succeed. In order for us to do this, we must guarantee that everyone plays fairly”. With that said, it looks like New Jersey is about to get much tougher on illegal gambling. All in all, sports betting in the Garden State is a privilege that they fought hard to have. So to protect these rights, lawmakers must be hard on those who violate the law. If you remember, the Golden Nugget and Caesars both paid a $2,000 fine last year for taking bets on the Rutgers-Kansas game. Which, we all know is peanuts for casinos in that calibre! 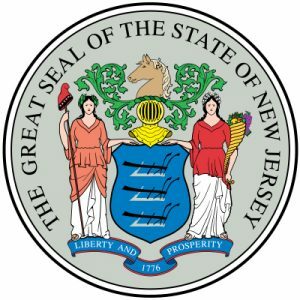 By adding stiffer laws, it’s more likely that sports betting in New Jersey will stay on the right side of the regulations. After all, they have a reputation to protect.